I love California in many more ways than one. Show me a land that seemingly basks in eternal sunshine and is home to arguably one of the most iconic automotive brands in history, Tesla, and I’ll tell you that any Model S owner like myself would be hard-pressed to imagine the Golden State as anything less than a basket of rainbows and unicorns. Except, I don’t live there. And the thought of possibly having to wait in long lines to charge my Tesla frightens me. 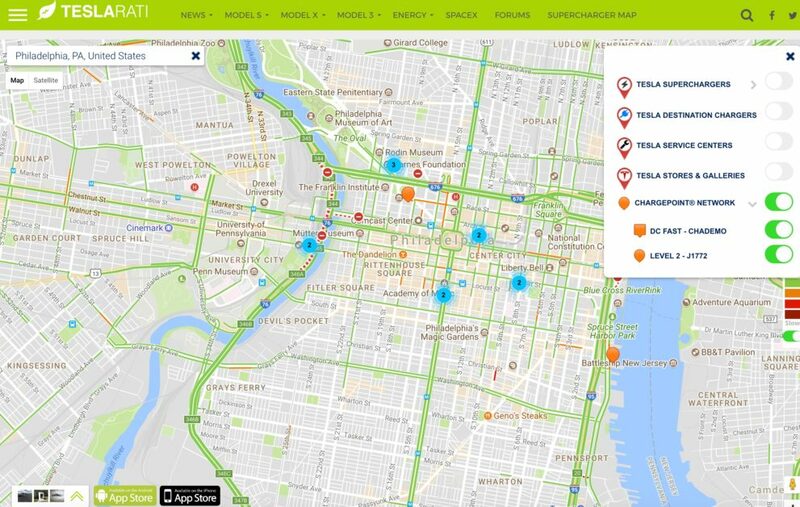 I’m a Philly Gal who’s grown used to my electric car lifestyle over the years, and in a region where finding a charging station was once akin to playing a game of Where’s Waldo. We don’t have Tesla Superchargers in every town like our left coast friends (unicorn world). Not to mention that it took a long while before Tesla installed one of their Supercharger stations along the east side of Pennsylvania where I would frequent. 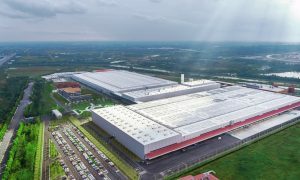 However, Tesla has done a phenomenal job of making long distance and cross-country travel possible with its ever-expanding Supercharger network. Still, I found solace in being able to plug my Model S into a Level 2 charger from time to time, especially during my local routines like going to the market or dining out in the city. And it’s for those reasons that I turned my attention to California-based ChargePoint, the world’s largest electric vehicle charging network, to highlight reasons why Tesla owners might want to extend their charging options beyond Superchargers. 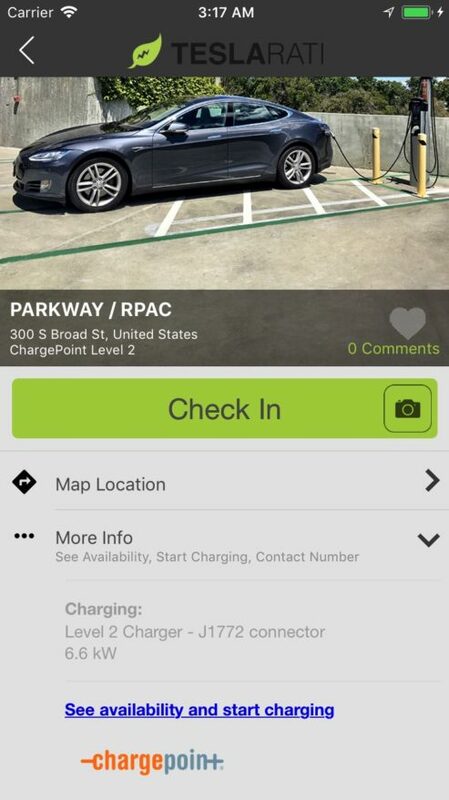 Because our mobile app now features integration with ChargePoint’s public charging stations, we encourage Tesla drivers, current and future, to feel unbounded by the types of all-electric journeys they can make in their vehicles. Gather information about those locations; check-in and share your favorite recommendations, like the tens of thousands have done across their Supercharger travels, and further the adoption of electric mobility. As convenient as Tesla’s Superchargers are, the chargers are generally located along major freeways and meant for long distance travel only. Level 2 chargers on the other hand are great for topping off and arguably easier to use for local charging. 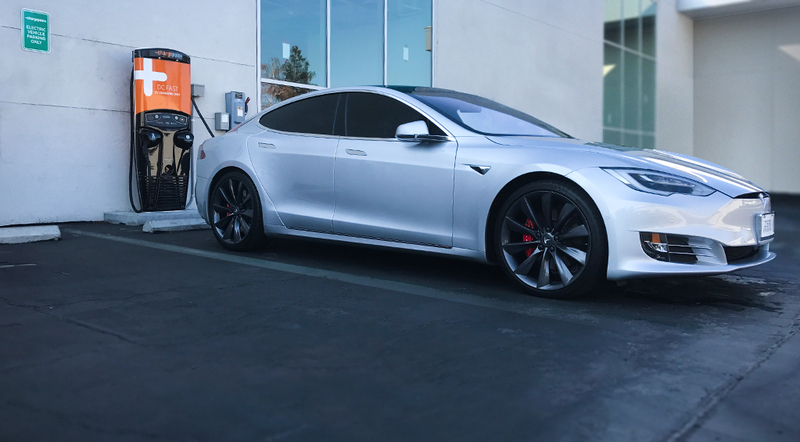 I recall a plan I had to utilize nothing but Tesla Superchargers on a recent road trip, only to be pleasantly surprised when we saw a ChargePoint station at our destination. This wasn’t at a fancy hotel or winery like where some of Tesla’s destination chargers are located, but at a nearby strip mall next to where we were staying. Plugging into the Level 2 charger allowed us to charge up overnight and skip the first planned Supercharger on our way out, which would have required us to drive into a traffic congested area that’s off of a major highway. Having the option to charge at a typical 6.6 kW Level 2 speed at home is the ultimate in convenience. But not everyone has the option. This is where work place Level 2 charging comes into play. Be it your actual employer or some nearby business, grabbing a few hours of charge during your work day can be the difference between owning an EV effortlessly and having to plan for and make dedicated charging trips. In fact, major cities across the country are starting to get hip to this need. Where I live, having dedicated parking is something only certain neighborhoods enjoy. The coolest of places to live are in or near our center city, which are overwhelmingly full of rowhomes with no garages and a first come, first served street parking system. Most of these folks can only now start considering EV ownership as Level 2 chargers pop up in their neighborhoods, at their shopping destinations and other places they frequent. The city itself is considering how to facilitate and encourage a charging network that results in increased EV ownership. Sustainability and cleaner air are priorities in many places, including my beloved Philadelphia. 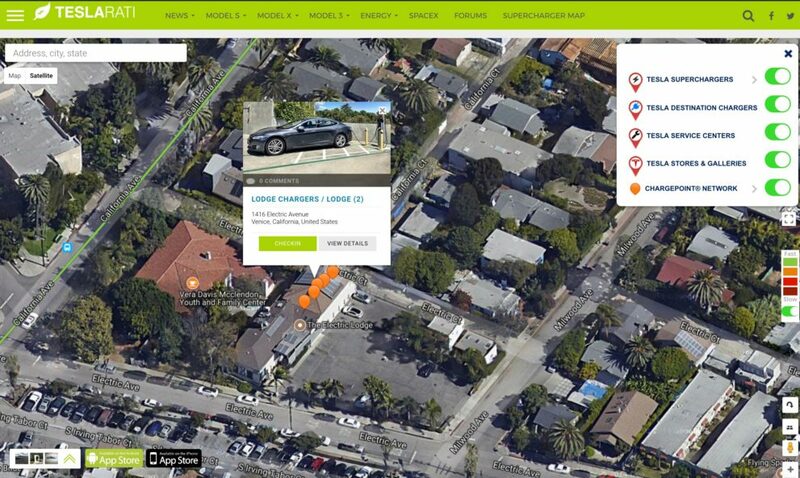 Having a mobile app with location services to tell you where nearby chargers can be found is key to convenience. 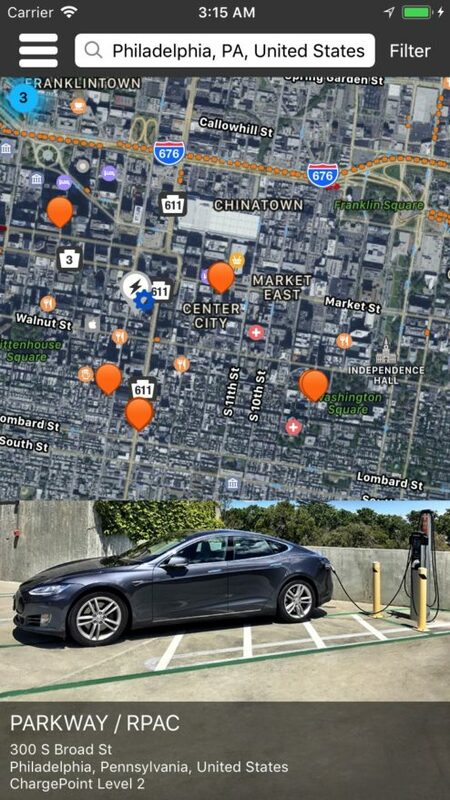 Even more importantly, being able to find a trusted charging provider like ChargePoint, along with crowdsourced comments and photos, and access to charging station statuses will make trip planning even easier.